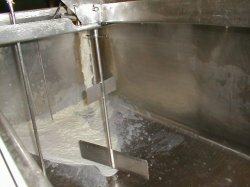 The bulk tank was installed on the third and Ankold Refrigeration made short work of the fitting. 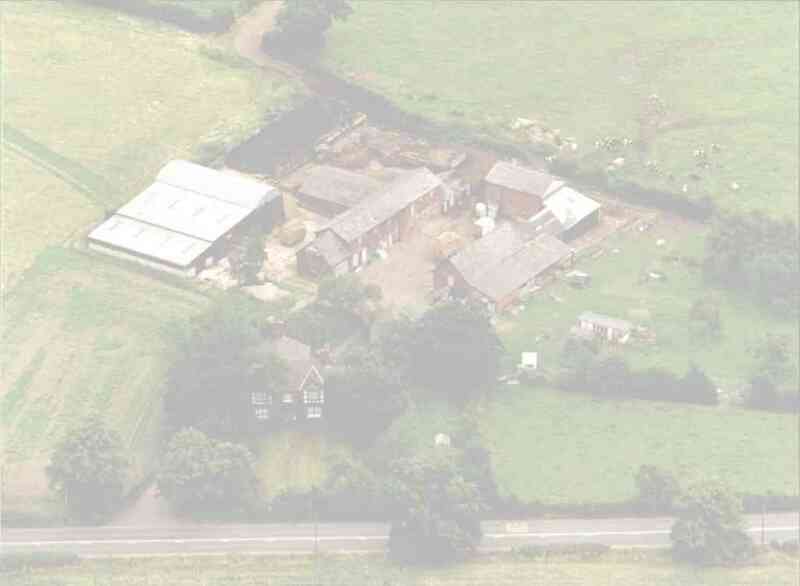 These are the pictures showing the various stages. The only problem now is filling it. 2 cows and 1 heifer have calved this month producing 2 black and white bulls (9 in 10 calvings now) and 1 Simmental heifer. 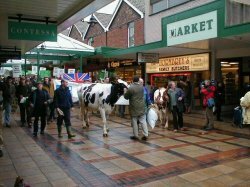 On the 7th we attended a march through the streets of our local town of Northwich to highlight the current low milk prices. 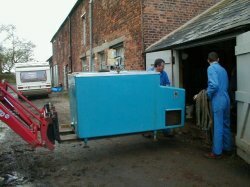 Spring is well and truly here and we have begun the spring work on the fields. 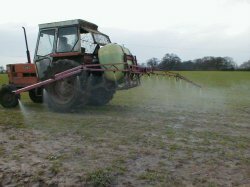 The drive field has had 60kg/ha of nitrogen applied to the winter barley crop and it has been sprayed with a manganese supplement, which as you see has improved it from looking yellow to a proper green colour. 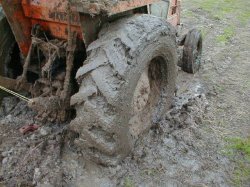 For the first time in 2 years it has been dry enough to spread muck on the humpety back, However a timely reminder came on the 20th as crossing the stubble on the drive field with just the chain harrows on the tractor I found a wet patch and was stuck fast right down to the axles. Chris from next door pulled me out. 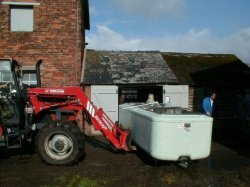 Fertiliser has also been spread on the drive field and the left hand meadow with the hope of getting the cows out and today we have let out about 40 of them. Also our annual exchange visitors from the Reaseheath agricultural collage have arrived for the weekend. Here are Brugier Emmanuel (left) and Garcia Frédéric (middle) from Lycée Professionnel Agricole de Montmorillon Jean Marie Bouloux.